Do you have a cracked, decayed or discoloured tooth? 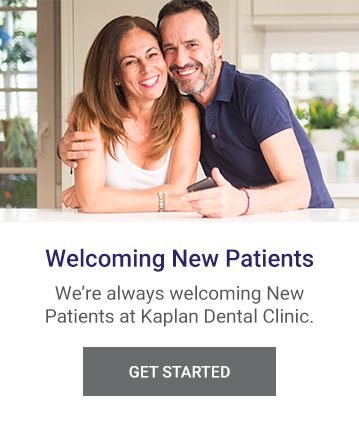 The dentists at Kaplan Dental Clinic in West Toronto are here to help repair the functionality and look of your tooth with bonding. If your teeth are decayed, chipped, fractured or have been affected by discolouration, bonding may be an option for you. Bonding can enhance the colour of your smile and can also be used to fix the shape of your teeth and close the spaces between the teeth. Bonding is a dental procedure that involves the application of a tooth coloured material (resin) to the tooth. This durable plastic resin is applied to the tooth and then harden with a special UV light which results in it “bonding” to the tooth. The resin material is made to match the natural colour of the individual's tooth, making it more aesthetically pleasing. When Should Bonding be Considered? If you are affected by any of the listed dental issues, contact Kaplan Dental Clinic in Toronto today to learn more about bonding and the options our dentists have available to you.